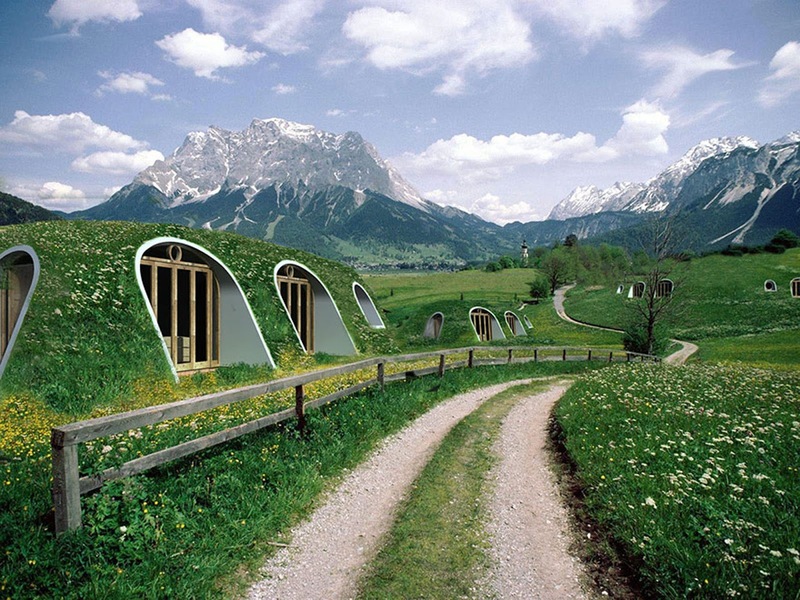 ECO FRIENDLY HOBBIT HOMES THAT CAN BE BUILD IN 3 DAYS- JUST FABULOUS! Green Magic Homes has designed a 400-square-foot abode that can be assembled by three people in just a few days! If you’ve ever dreamt of living in Middle Earth, your geekiest dream may soon come true. The company Green Magic Homes has developed tiny prefabricated houses that look exactly like Hobbit holes. Perhaps the best part? The 400-square-foot homes can be assembled by three people in about three days time! Inhabitat reports that the eco-friendly abodes are designed to exist under a layer of soil and turf and can even produce food if you’re ambitious enough to garden some veggies on the roof. Each home is composed of prefabricated vaulted panels manufactured with composite laminate materials, confined by walls in reinforced soil. The structure is easy to assemble and features perforated flaps in order to screw and seal the components together. Cozy during the winter and resourceful in the summer, this is the kind of living space many can get excited about. And get this: If you’ve been envisioning your Hobbit home for a while now, Green Magic Homes will actually construct it as their modular system offers endless possibilities of design. You don’t have to a Tolkien fan to appreciate this creative eco-friendly offering. Scroll through some of the photos below and visit the company’s website to learn more!